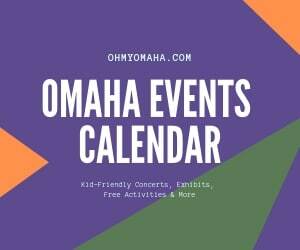 This is the last installment of a series about visiting Lincoln, Neb., with children. We took a whirlwind trip to the city recently – read the recap here. 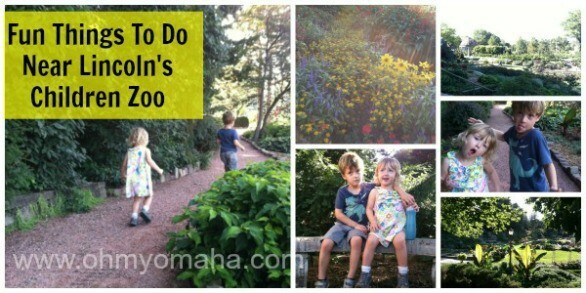 The Lincoln Children’s Zoo is a fun addition to a trip to Lincoln, but if you’re looking for a few extra ideas on what to do after you check out the zoo, I have a few suggestions. I was pleasantly surprised by our visit to the Sunken Gardens, which is so close to the zoo, you could throw a rock at it, kinda. OK, not really, but it’s really close. Taking a break to look over the Sunken Gardens in Lincoln. The free public gardens are simply gorgeous. If you’re camera-happy, you’ll be in your element here. Most of the gardens are not shaded, but we enjoyed this short, shaded trail. 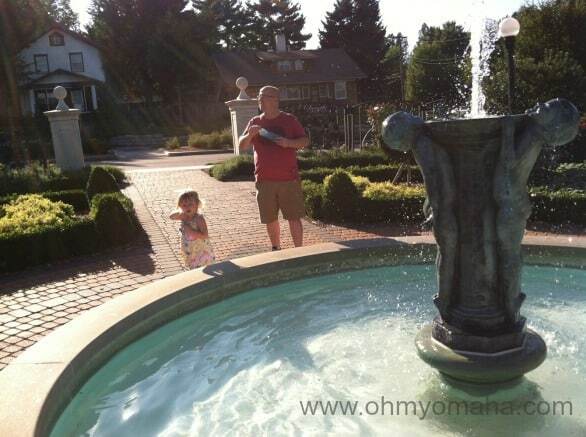 My kids enjoyed the water features, like the waterfall and the two man-made ponds. 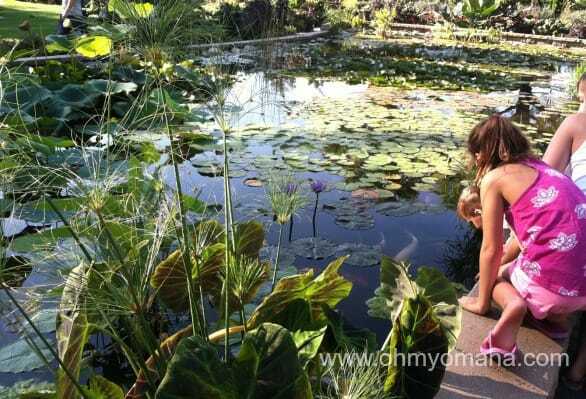 There are two man-made ponds and a small man-made waterfall at the Sunken Gardens in Lincoln. 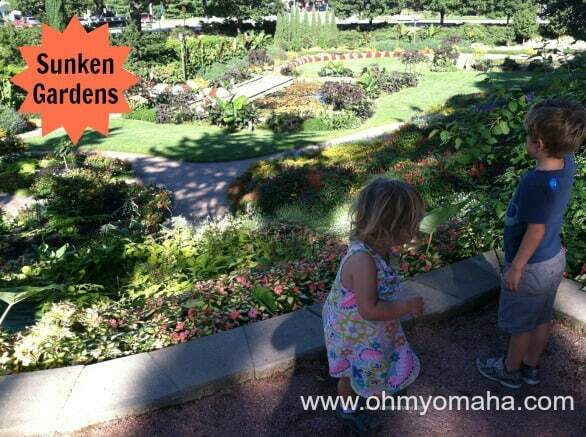 I was fascinated by all the plants that I had no idea could easily grow in Nebraska. For parents of young kids, you’ll be happy to know there are public bathrooms there. Always plan for emergencies, amiright? 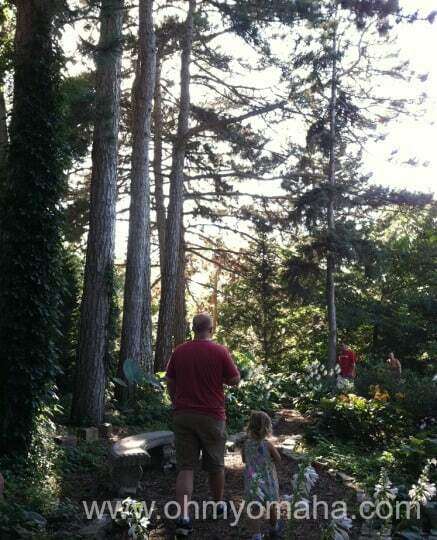 Across busy 27th Street, and even closer to the zoo, you’ll find smaller gardens and a large water feature. The signs say “don’t play in the water” but the whole things screams “PLAY IN ME!” I had a hard time keeping my kids out, especially with the handful of kids splashing away in there. Cross 27th Street to find this smaller garden area near the Sunken Gardens. The smaller gardens were reminiscent of French-style gardens (on a much smaller scale). Another great find for our family was Antelope Park. We were leaving the zoo and the kids were still wired. All hopes for them napping on the way home were pinned to finding another outlet for them to run around and let out energy. Then we saw it. A massive playground. Antelope Park is located near the Lincoln Children’s Zoo. It has wheelchair accessibility and a separate playground for younger children. 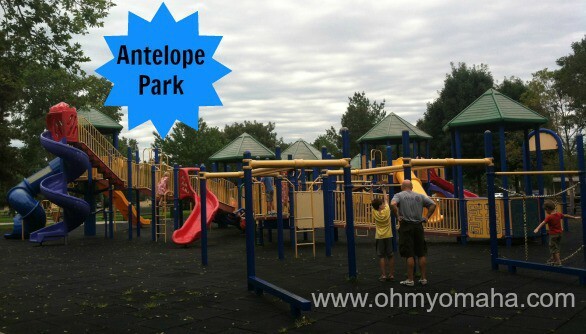 Antelope Park is the biggest playground I’ve ever seen. The kid inside me was jealous of my kids. I counted 12 slides! The park was also wheelchair accessible, and it had a separate area for children under 5. And there was a sandbox off to the side that is easy to block from your kid’s view. 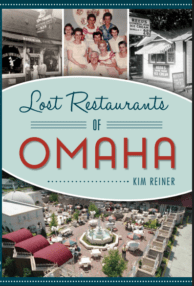 Your turn: What’s near the Lincoln Children’s Zoo that your family loves – restaurants, outdoor areas, shops, etc? You did such a great job of exploring my city!